Wellcome to the conference in Odessa city! 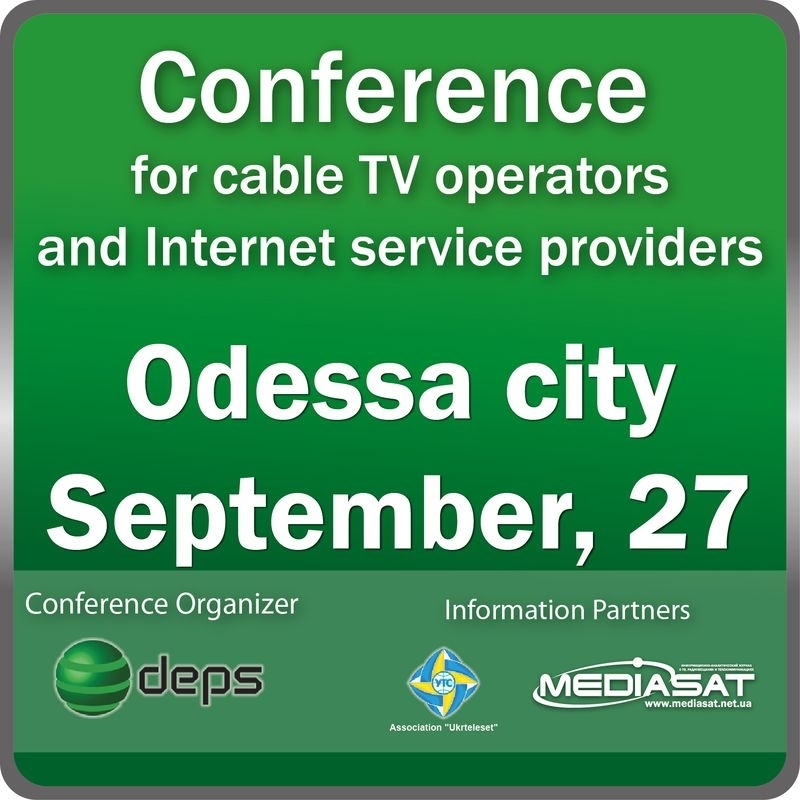 We invite you to attend consulting and practical conference for cable TV operators and Internet providers, which will be held on September , 25, at the conference hall of "Solnechny" business center to the address: 5, Solnechnaya street, Odessa city, Ukraine. Information Partners: Association "Ukrteleset", "Mediasat" magazine. Participation is free, under a mandatory pre-registration. Topics of the conference will be focused on problems of networks building and its developing. Your participation in the conference will let you learn about the latest trends in the market of telecommunication equipment and will get you the most useful and relevant information. For greater efficiency, each report will include both a lecture and the discussion and practical parts. The conference will be accompanied by an equipment exhibition. Participants registration is carried out up to September ,20th, 2012, inclusive. To register as a participant in the conference, please fill out the form. After the registration, a confirmation e-mail with an individual number will come to your specified e-mail box . You are to print and present it at the entrance to the conference room. During the conference special prizes from the "DEPS Ukraine" will be drawn! Looking forward to seeing you on board!